Today, Bank of America reached a historic agreement with the U.S. Department of Justice to pay the largest settlement in U.S. history related to toxic mortgage loans it knowingly sold to investors. In short, the company admitted that it misrepresented the quality of the loans it packaged and sold to investors via its Merrill Lynch and Countrywide Mortgage brands, as well as through Bank of America. Additionally, the bank has taken responsibility for its faulty loan origination practices that resulted in Fannie Mae, Freddie Mac, and the FHA taking on countless bad loans that eventually hurt American taxpayers (not to mention homeowners). Simply put, the bank and its affiliates made trillions of very bad loans that they tried to pawn off, and now they must pay. Speaking of payment, the company has agreed to pay $9.65 billion in cash, including $5.02 billion in civil monetary penalty and $4.63 billion in compensatory remediation payments. Additionally, BofA will provide $7 billion in consumer relief, which will come in the form of loan modifications, including principal balance reductions, forbearance, and second mortgage extinguishments. How Does a 2% Interest Rate Sound? Most significantly, some lucky homeowners will receive principal reductions that lower their loan-to-value ratio to 75%. But that’s not all. They’ll also receive a 2% interest rate on their mortgage that is fixed for the life of the loan. The Department of Justice provided an example where a homeowner with a $250,000 mortgage balance would see it fall to just $112,000 on a property worth only $150,000 today. That’s a pretty good deal, regardless of what may have happened to the homeowner. Let’s be honest, a lot of borrowers knew they weren’t providing proper income documentation either, or that their home appraisal was a tad bit steep. But I’m sure they looked the other way, just like everyone else at the time. The DoJ also negotiated a tax break for those who receive relief under the settlement assuming the Mortgage Forgiveness Debt Relief Act isn’t extended. They created a so-called 25/25 Tax Relief Fund where 25% of the value of the relief will be made available to offset any tax liability, up to $25,000. But the amount of money set aside is limited, so not all homeowners will be able to take advantage. During his speech, Associate Attorney General Tony West called on Congress to extend the Act so homeowners won’t be on the hook for phantom income. Bank of America will also be required to provide more low- to moderate-income mortgage originations, expand affordable housing initiatives, and provide community reinvestment for neighborhoods experiencing or at risk or urban blight. The settlement is expected to reduce the company’s third quarter pre-tax earnings by $5.3 billion and reduce earnings per share by 43 cents. Obviously the stock was up on the news, because that’s how the stock market works. But really, investors are probably happy to see the bank move forward from the mortgage mess once and for all. And its current price of under $16 a share is still just a fraction of what it was during the previous housing boom when shares traded in the low $50 range. At the time of this writing (June 5th, 2018), Bank of America was offering a 30-year fixed mortgage at 4.625% with 0.414 mortgage points. It works out to an APR of 4.798%. They also have a 20-year fixed at 4.375% (4.638% APR) with 0.655 mortgage points. And a 15-year fixed is being offered at 4% even (4.339% APR) with 0.699 mortgage points. Bank of America also offers ARMs, including a 10/1 ARM, 7/1 ARM, and a 5/1 adjustable-rate mortgage. As of 6/5/18, they were priced at 4.125% (4.659% APR), 4% (4.711% APR), and 3.875% (4.774%), respectively. As you can see, the APR of each product is very similar, so it’s important to look at all the details when deciding on a loan product. For the record, their advertised rates tend to require a credit score of 740 or higher and a minimum 20% down payment. Most lenders, including Bank of America, assume you’re a pristine borrower so they can advertise the lowest mortgage rates possible. I have been locked into a high interest rate since starting with Countrywide mortgage (almost10%). As financial times get harder, I applied for a refinance thru now Bank of America. They said that I was a good candidate for refinance, but after about 15 days and lots of paperwork, I was denied. I was told that the terms of insurance governing the total complex could not give them an exact figure of payout if complex was destroyed. There was nothing I could do. After Sandy the complex insurance was reviewed and knowing we would see a substantial increase we went with a excellent carrier (Lloyd’s of London). I read your article and wondered if you have encountered anything like this. Sounds like two different issues, one a high-rate mortgage with Countrywide and the other an insurance-related issue. Not sure why you were denied (because of the insurance? ), if so, you might want to inquire about some kind of relief, as opposed to a refinance, assuming Countrywide wronged you in some way. Or consider a refi at a different lender who can get around any issues you’re having. How are we notified if we qualify for any benefit from Bank of America. Do we have to apply for this? It would probably be smart to get proactive and contact them, instead of waiting for them to reach out, but I’m assuming they’ll send out notices eventually. I purchased my house is 2005 at the height of the market for $545k. I was 25 and Countrywide was the only lender that would give me a loan. I was excited about the house and at 25 I assumed if they were willing to give me a mortgage it was legit. I got a 10 year interest only loan which this year will adjust to pay off the principal over 20 years the rate readjusts continuously based on current interest rates. To try and avoid this adjustment I attempted to do a regular refinance. Online estimates put the value of the property between $355k and $575k so I figured we’ll see what an actual appraiser comes up with. The appraisal came in at $400k. I’d originally put 20% down and so the loan balance is $436k. It seems there was maybe originally some number fudging to qualify me with Countrywide and I likely got a predatory loan, but it is unclear to me how to proceed with Bank of America. My loan is not Fannie Mae or Freddie Mac approved and is not FHA insured so I don’t qualify for any HARP programs. What I have read online seems to indicate if I was eligible for one of Bank of America’s Countrywide settlements they should have contacted me already. I have made every payment on time, but when the mortgage readjusts and continues to readjust amortizing the principal over 20 years I probably can not afford the payments. I’d love to get the principal lowered to a 75% LTV ratio and get at 2% interest rate, but don’t know how to proceed. Any advice? I heard about this settlement when it was originally announced, but nothing since. So I’m not sure what’s going on with it, but perhaps reaching out to BofA as opposed to waiting for them to call might be the move, especially if you can get a principal reduction and a lower fixed rate. Good luck. I was wondering if a 2% interest rate is still available to us. Our B of A was sold to Ocwen at 4.5. I was contacted by the U.S. Legal team who stated that I automatically qualified for the 2% interest rate. Is this true? Not sure who is actually handling the modifications. Always good to vet the company that contacts you (assuming they contacted you) to make sure it’s legitimate. We received the B of A offer! they say it brings the loan current…does that mean it is not a new 30 year loan? it will be for the remaining 22 years of our current loan? Also, if we make the 3 trial payments are we guaranteed the new loan? Not sure, I haven’t seen one of these offers, I’ve only known about the program. If it’s a 30-year loan with a balance of $220k at 2%, that’d be $813 a month for principal and interest payments. So $1,500 a month sounds like a shorter term possibly including taxes and insurance? Best to ask them and read your paperwork/offer. We have an FHA loan and have tried to modify several times but they would NEVER reduce principal. This is by far the best terms we have seen. We do have to agree in writing to a cancellation of the FHA insurance on the loan. Of course if we don’t then this offer is cancelled. Not sure what to make of that…any insight? I can’t see the offer so I can’t advise you. Generally getting rid of mortgage insurance would be a good thing because it would reduce the payment even further. My 2% Bank of America modified loan has been sold to Ever home Mortgage since last year. 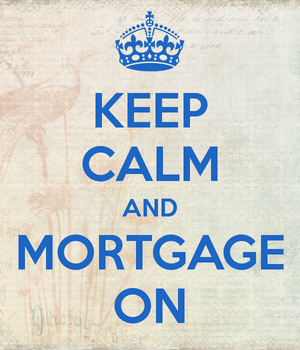 Now Ever home Mortgage changing interest rate to 3% and from 2017 to3.5%. My modified Bofa loan is 2% until life of the mortgage. Bof A noticed us in Jan we were eligible for a DOJ Mod. We applied. They offered 2.% and a “set aside” of 120K on a 650K note til the underlying amount was paid. And 3 trial payments, good til paid in 23 years..
We are in the process with a new mod appl with Caliber.. Caliber says their mod offer will only be good 5 years, then gets expensive again, what claim would we have against any deceptive practice with b of a? Better put, is B of A selling the notes to avoid having to do DOJ MODS? We were given an Interest Only fixed rate loan in 2005 which we did NOT apply for. It was undoubtedly bait and switch and we are still fighting with BOA. I am trying to find out who they sold our loan to/securitized owner, etc. because the assignments at registry of deeds are robosigned. Anybody have any luck finding out during 2005-2007 “blitz/hustle” how to track where they sold your loan to? Typically you’ll get something in the mail from the new servicer when the loan is transferred/sold. We did get some correspondence from Bank of New York, I think Mellon. I don’t have that piece of paper but is there a way I can contact BoNY and find out info from them? Colin, wrote you a lengthly problem seeking your opinion on how to procede but it did not post.here…….. too big? Yes it was too long, and you also attempted to post it 5+ times. I don’t have any tips other than maybe reaching out to agencies like the CFPB to complain about the companies in question if you feel you’ve been wronged. How do I find out if I’m in the settlement of bank of America . Bank of America said to call 1.877.488.7814 in their press release regarding the settlement. Ive read a few very similar mortgage situations to mine. Countrywide now Bank of America sold me a home. As I was literally signing they informed me about the a change where they needed to finance it in two parts with two interest rates…both high and one of which is interest only. I have excellent credit but was given a loan that people with bad credit are sold on.I’ve tried refinancing through Bank of America but was denied. Do I have a case? Hmm…not sure what they were doing, I guess you could try reaching out to the parties in the settlement to see if you’re eligible for any assistance.